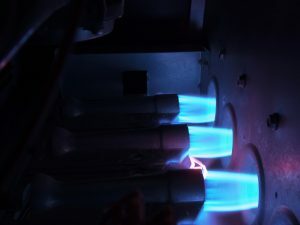 The Importance of Furnace Maintenance | Comfort First Heating and Cooling, Inc. Heating season is here, which means it’s time to get your furnace in proper shape to deal with the next few months. You’re going to be putting the system under a lot of strain over the next few months, which is why it’s so important that you schedule preventive maintenance for it. The last thing you want is to have your furnace break down on you in the middle of the coldest months of the year. Preventive maintenance is the single greatest thing you can do to ensure that your furnace stays as healthy as possible over the fall and winter season. Read on to find out why you should be scheduling this for your system as soon as possible. Issues that harm furnaces tend not to announce their presence with any kind of recognizable symptom before they’re quite far developed. Which means that by the time you realize that your furnace is dealing with a problem, it will be too late to prevent all of the damage. Doing this long-term makes it far more likely that you’ll have to pay higher repair costs, which is obviously not something any homeowner wants to do. If you want to keep repair costs to a minimum, you’re going to need to catch problems before they start causing damage. That’s where maintenance comes in. A preventive maintenance appointment involved closely examining every part of your furnace for issues. Any that are found can be resolved before they get far enough along to cause damage to the system. Doing this consistently over the years can reduce the odds of a serious problem affecting your system by up to 90%, and increase the energy efficiency of the system by up to 40%. This could dramatically reduce the cost of repairing your furnace over the course of its lifetime. There are two reasons why you want to schedule maintenance during the fall season. The first is because it ensures that your furnace will be in the best possible shape before it’s put under the most stress. The second reason is because the efficiency bump you get from preventive maintenance will be put to the best use if you have it done right before the season when you’re going to be using it the most. If you have maintenance done during the fall season, you can reliably expect to save money on both repair and operating costs throughout the season. Not to mention that you’ll be far less likely to have your furnace break down on you when you’re relying on it the most. So, schedule preventive maintenance for your furnace today, and you’ll reap the benefits all season long. Comfort First Heating and Cooling, Inc. offers comprehensive furnace maintenance services in Joliet, IL. If you need help getting your furnace ready for the heating season, contact us today to schedule an appointment with one of our professional technicians. We’ll make sure that your furnace is in the best possible condition to cope with your heating needs this season.